Increased industry awareness of arc-flash hazards demands increased responsibility for facility owners and managers. OSHA and NFPA organizations are revising safety requirements in a direct effort to reduce hazards in the workplace. Taking proper precautions as a facility owner is not only legally required, but will reduce the occurrence of extremely dangerous accidents and expensive litigation. 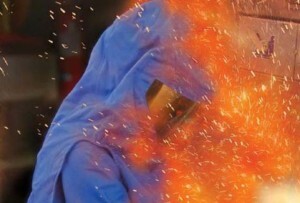 An arc-flash is the light and heat produced during a type of an electrical explosion. Temperatures can exceed 35,000 degrees F and cause crippling or fatal burns. What are some prevention measures I can take to avoid an Arc-Flash incident? According to OSHA and NFPA codes, a building owner is responsible to provide electrical safety programs which would include hazard analysis, proper labeling and training of staff. Bureau of Labor Statistics reports 5-10 incidents occur every day in the U.S. resulting in more than 2,000 people a year admitted to the hospital with severe burns. Yes, it can happen at your facility. A single serious injury, besides being a tragic human event, can result in costs to employers of $10-15 million in litigation. If your facility contains electrical equipment, a site specific Arc-Flash Analysis is a must. Contact larryulmer@fxbinc.com for more information.